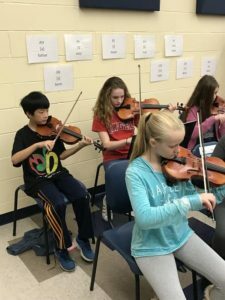 Student-musicians from the Miller Place School District’s Laddie A. Decker Sound Beach School recently participated in the Long Island String Festival Association and the Suffolk County Music Educators’ festival and concert. Performing in the prestigious concert is one of the most selective opportunities for young musicians on Long Island, featuring students from throughout Suffolk County who were hand-picked by their music teachers. All of the students from Laddie A. Decker Sound Beach School students were seated within the top 10 of their sections in both orchestra and band. Violinist Nini Guo was the first student in Miller Place history to sit first chair, first violin, and serve as Concertmaster of the orchestra. 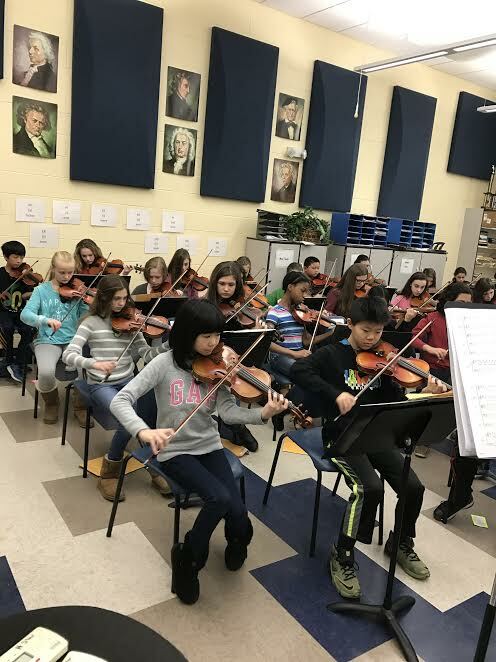 Participation in the concert is part of the District’s ongoing commitment to providing a high-quality music education and supporting students to help them succeed in a range of activities.